Kansas City / What Is the Best Energy Efficient Window? What Is the Best Energy-Efficient Window Option? When it comes time for a window replacement at your home, you may be considering upgrading to energy-efficient windows. With today’s technology, windows are more energy efficient than ever before, and practically every available window has some energy-saving features and benefits. But, this makes deciding which one is best for your home a bit of a difficult decision. Before upgrading to energy-efficient windows at your home, let’s explore what your best options will be. The energy efficiency of a window comes down to three main factors – frame material, glass packages, and installation methods. Each of these components can affect the energy efficiency of a window, so understanding more about their impact on energy transfer can help you find the best option for your home. Fiberglass and vinyl windows are ideal energy-efficiency options compared to wood and aluminum windows. Fiberglass and vinyl frames are constructed with insulation channels that create a barrier between the outside and indoors. They help to keep warm air inside when it’s cold, and cold air in when it’s hot outside. Also, fiberglass and vinyl are resistant to rotting, chipping, or cracking, which means you can expect lasting performance. The type of glass a window is built with is arguably the most important factor when it comes to energy efficiency. Windows with double- or triple-paned glass are becoming more and more popular in the window industry. Typically, these windows feature two or three panes of glass with a gas-filled space in between each pane. The glass, gas fill, and low-emissivity glazed coatings help to reduce temperature transfer, allowing your HVAC to more easily regulate indoor temperatures. Installation is important as well. Improper installation can lead to air leaks and drafts, which can greatly affect the overall energy efficiency of your windows. Plus, they need to be sealed properly and installed to ensure years of flawless performance. Here at Bordner, we are proud to offer some of the finest and most energy-efficient windows from trusted manufacturers such as ProVia and Infinity from Marvin. We have vinyl and fiberglass windows with exceptional glass packages to help improve the energy efficiency of your home. Plus, they are installed by a highly trained team of installers. 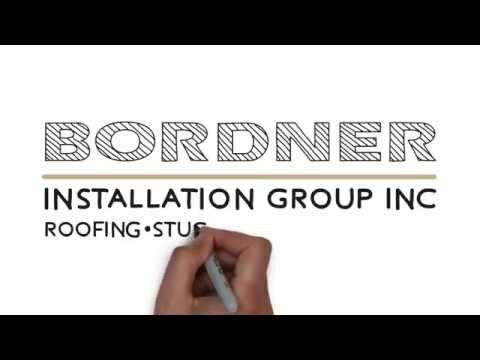 To learn more about the energy-efficient windows that we install for homeowners in Kansas City, MO, and throughout the surrounding areas, contact Bordner today.